Laura Ingalls Wilder is the original pioneer girl, and her Little House books were inspired by the events of her life. This keepsake volume discusses how her real life was different from her stories, and it also focuses on her adult life and how she came to write the Little House series. In addition, it includes one chapter for each of Laura's nine Little House books, exploring in detail the stories, houses, landscapes, journeys, foods, activities, and crafts. Maps, family trees, photographs, and a timeline trace the history of Laura and her family. 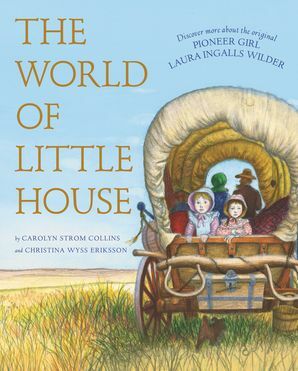 Meticulously researched, lovingly written, and beautifully illustrated, The World of Little House is for anyone who has ever read and loved the Little House books.